What a shocking revelation: LaVar Ball’s Big Baller Brand is being sued for their business practices. I couldn’t see this coming a mile away at all. This blowhard is always up to something and some of his sons seem to be following in their father’s footsteps. LaVar Ball’s Big Baller Brand is being sued by a screen-printer who does the embroidery for their hats and t-shirts. According to The Los Angeles Times, attorneys for the Chino, California printing firm Closet Collection say the Big Baller Brand owes them around $25,000. Maybe LaVar should stop trying to sell his shoes for $495 and start charging a more economically friendly price point, say $99. This comes on the heels of the Better Business Bureau’s awarding of a “F” rating to Big Baller Brand. 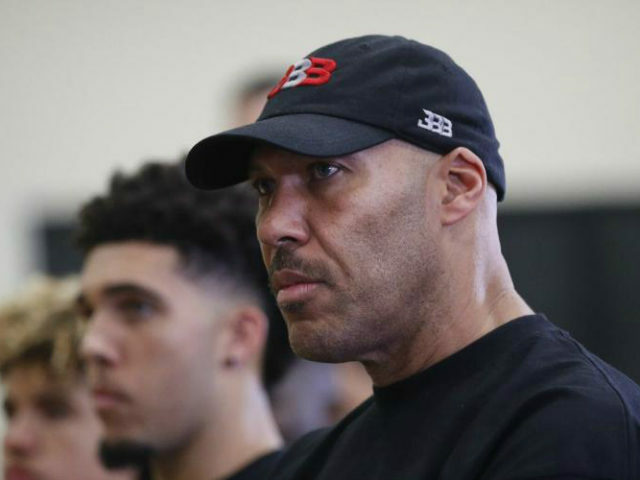 The BBB has over 30 complaints on their website and a failure to respond to 12 complaints and 5 unresolved complaints against the Big Baller Brand. LaVar Ball is most known for making outrageous claims about the basketball talent that his three sons employ. His oldest, Lonzo, is currently the starting point guard for the Los Angeles Lakers. His younger two sons have recently signed with a Lithuanian team and have started to play for them. LiAngelo Ball, the middle son, is best known for shoplifting in China and being subsequently suspended by the UCLA basketball team. LaVar has taken LaMelo, the youngest, out of high school and the young man has signed professionally with the same Lithuanian team as his brother, Prienu Vytautas. Unfortunately for LiAngelo, the NBA is seemingly uninterested in him at the moment. He was a three star recruit out of high school and was considered the lowest-rated recruit of UCLA’s freshman class. “He’s not on any of our scouting lists — even the extended lists,” Wojnarowski cited from an anonymous NBA General Manager. LaVar has been clear that LaMelo will not play for a NCAA team. “He’s not going to play college basketball,” LaVar told ESPN of LaMelo. I hope this guy is not crushing the dreams of his two younger sons. Lonzo is doing okay this year with the Lakers and has already signed a contract worth millions. One can only hope that the other two sons can be given a chance to be judged on their merits and not on their father’s antics.